This was the only cupcake option available at Simply Desserts, so that’s what I had. Chocolate cupcake with cream cheese and chocolate chips baked in on top. 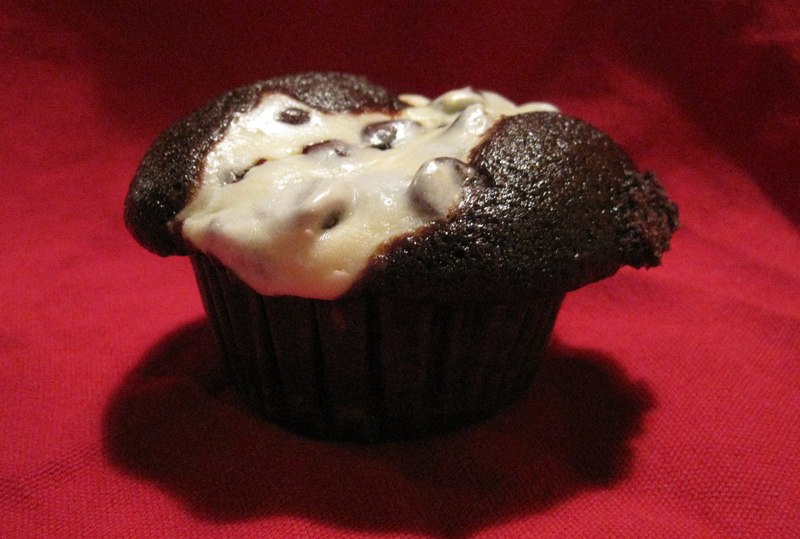 The top was extremely tasty: tangy cream cheese mixed with sweet chocolate chips. The rest of the cupcake was just okay: the cake was moist and had nice chocolate flavor, but nothing spectacular. I did eat the entire cupcake and scrape the crumbs off the liner with my fork, so I really have no complaints.